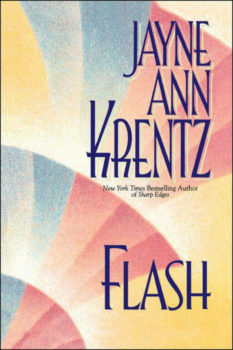 Sparkling with Jayne Ann Krentz’s irresistible blend of sassy wit and sheer suspense, this sizzling bestseller explodes into passionate pyrotechnics as a self-made millionaire and a charmingly disorganized entrepreneur team up to corner a killer. Soon, they find their unruly partnership has the power to set the night on fire…. Olivia Chantry may leave her desk in disarray, but she’s a business dynamo: her Seattle-based company, Light Fantastic, creates the promotional flash her clients need. Her marvelous success has almost made up for a crumbled marriage that has left her wedded to a career instead of a mate. 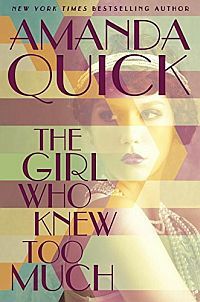 But all that may change when Olivia inherits 49 percent of Glow, Inc., her uncle’s high-tech lighting firm, and she butts heads with the interloper who bagged the other 51 percent: Jasper Sloan, a venture capitalist and deal-maker known as an orderly man with all his ducks in a row. From the start of their feisty business dealings, the so-called partners nearly crash and burn — and barely keep control of the sexual energy crackling between them. But when they discover a blackmailer is hard at work uncovering secrets inside Glow, Inc., Olivia and Sloan’s steamy joint venture faces the acid test of truth…and a need for absolute trust. For when extortion turns to murder, a union of their minds — and hearts — might be their only chance to stay alive.